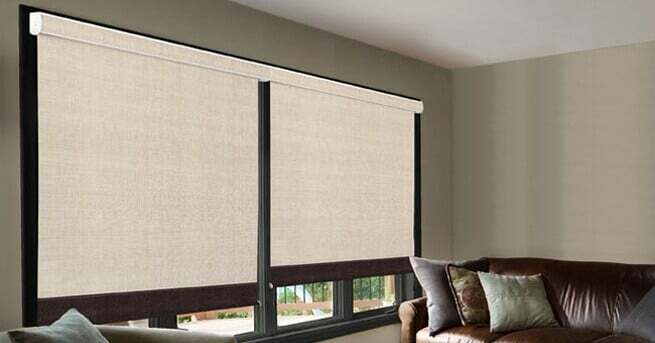 Homeowners often choose blackout window treatments due to the added control they can give them over the amount of light which enters their home. In particular, blackout curtains prove to be of benefit to, and popular among, individuals who work the night shift and must sleep during the day, as these curtains give them sufficient darkness to sleep during sunlight hours. However, considering the wide variety of window treatments that are available for homeowners to choose from, you may be wondering what additional benefits there are in choosing blackout curtains or blinds. While having the ability to completely darken one’s bedroom for sleeping can be a great incentive, there are also a variety of other reasons to consider blackout treatments for your home. Here are a few of the added benefits that blackout window treatments can provide you with. One of the greatest benefits of blackout curtains and shades, besides the fact that they block light, is that they can greatly reduce the amount of noise that enters your home. Even with updated double or triple-pane windows, if you live in a noisy area, a great deal of disturbing noise pollution can enter your home. This can make sleep difficult, particularly if you are trying to sleep during daytime hours. Fortunately, blackout window treatments have been shown to reduce the amount of noise that infiltrates a room by as much as 40%. This can make falling asleep, and staying asleep, or even enjoying peace and quiet during the day, much easier. What makes blackout window treatments effective at keeping light, and noise, out of your home is the thickness of the material they are made out of. This thickness, however, also means that these window treatments are great insulators, and can greatly improve the energy-efficiency of your home. Having this additional insulation can help to keep heat in during the winter, and reflect the sun to keep your home cool during the summer. This will greatly reduce the amount of energy necessary to keep your home comfortable, which can reduce your monthly utility bills, and reduce your carbon footprint. In fact, it have been suggested that blackout curtains can reduce the amount of energy required to heat or cool your home by as much as 25%, greatly improving your home’s energy-efficiency. Another added benefit of blackout curtains is that they can increase the privacy of your home. Many thinner window treatments do not completely shield from prying eyes what is going on inside your home, sense, at night, the light within your home can create shadows showing people outside what you are doing. However, this is not the case with blackout window treatments. These window treatments are thick enough to completely shield from nosy neighbors what you are doing, and can improve your peace-of-mind by ensuring that no one can see into your home at night. For people who suffer from insomnia, or feel like they are not getting good enough sleep at night, blackout window treatments can provide relief and improve your overall sleep quality. The fact is that many neighborhoods have sufficient light pollution at night to make your bedroom fairly bright even with traditional window treatments closed. Studies have shown that this light pollution can interrupt sleep, prevent deep sleep, and can make falling asleep difficult by disrupting your natural circadian rhythm. Blackout window treatments can create a bedroom environment more conducive to a night of quality sleep, proving to be just one of the many reasons to consider upgrading to blackout window treatments in your home.